I had the privilege of visiting Seychelles in October 2016 and what an experience! Situated in the Indian Ocean and consisting of 115 islands, Seychelles is a nature lover’s paradise. It felt like stepping into a different world abundant in white sandy beaches, clear blue waters and calming green forests. Beauty that really left me speechless. 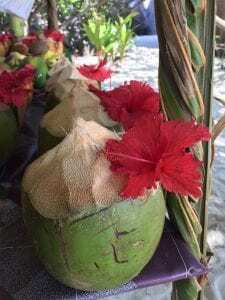 Seychelles is not a destination that leaves you resort bound – it’s a destination that should be explored and discovered, and I want to give you a brief overview of what stood out for me. Starting off with the main Island of Mahe. This Island boasts the smallest capital in the word – Victoria. It is a vibrant town offering colourful street markets for tourists to purchase local produce, spices and souvenirs. 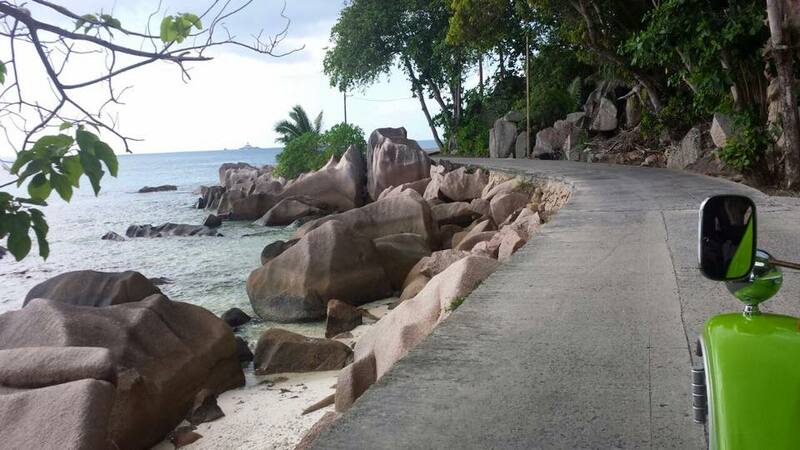 With only one robot on the entire island it shows how easy-going the Seychellois way of life really is. 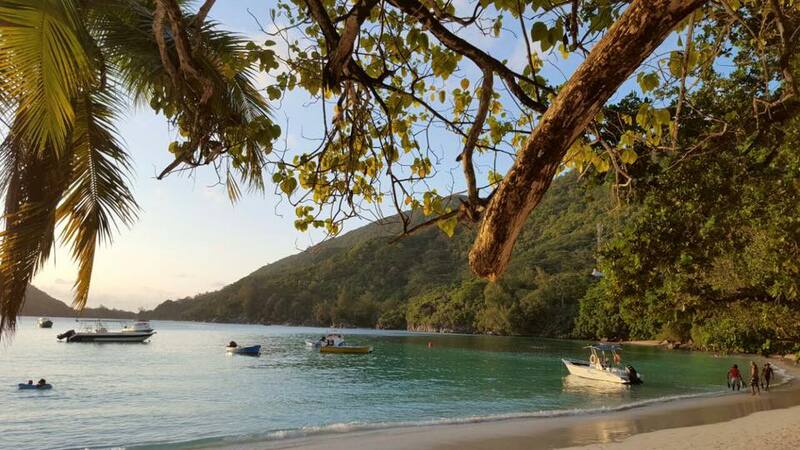 A must see when on Mahe has to be a visit to Beau Vallon Bay, probably the most popular beach on the Island! 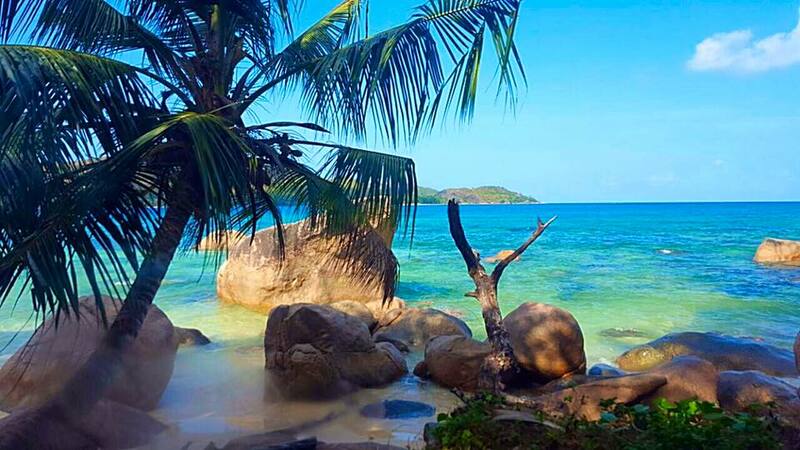 From Mahe we travelled to Praslin, the second largest island of the Seychelles. Praslin is easily accessible by taking a 15 minute flight or approximately 45 – 60 minutes ferry transfer from Mahe. Arriving on the Island of Praslin it felt like we left one paradise for an even better one! 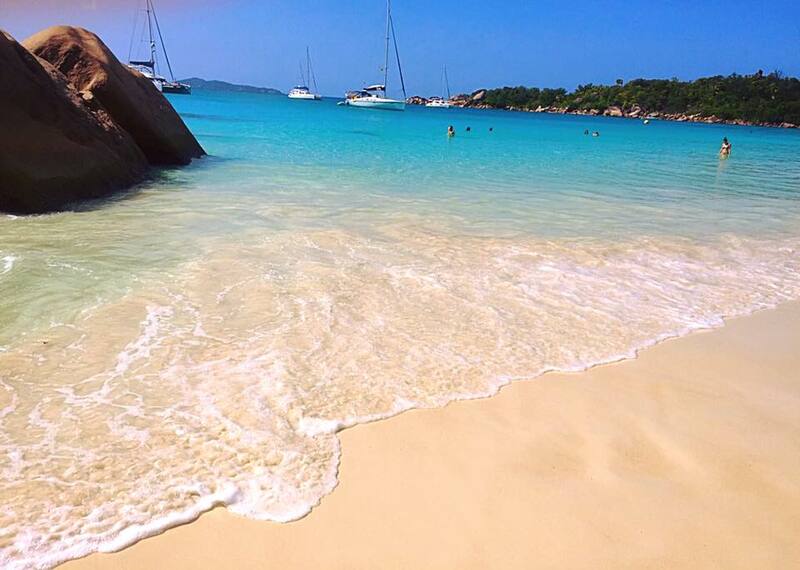 What stood out for me were definitely Praslin’s beaches – the most beautiful I have ever seen in my life. I took a stroll down Anse Lazio beach which has been voted as one of the most beautiful beaches in the world and literaly every picture I took looks like a postcard! 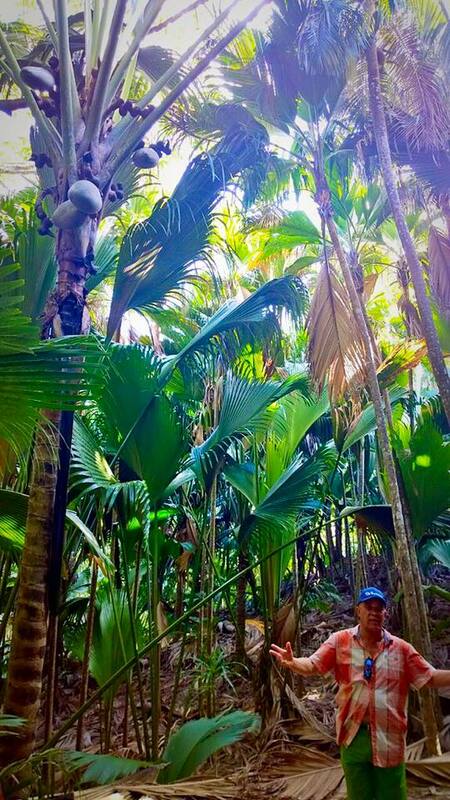 Another treasure on the Island is Valleé de Mai, a magical forest and UNESCO World Heritage site that is home to the Coco de Mer and endangered Black Parrot. Guided tours and hiking trails are available to tourists and is a definite must-see! During our stay on Praslin we took a day trip to La Digue. With just a 15 minute transfer by boat, it is an excursion I would highly recommend. 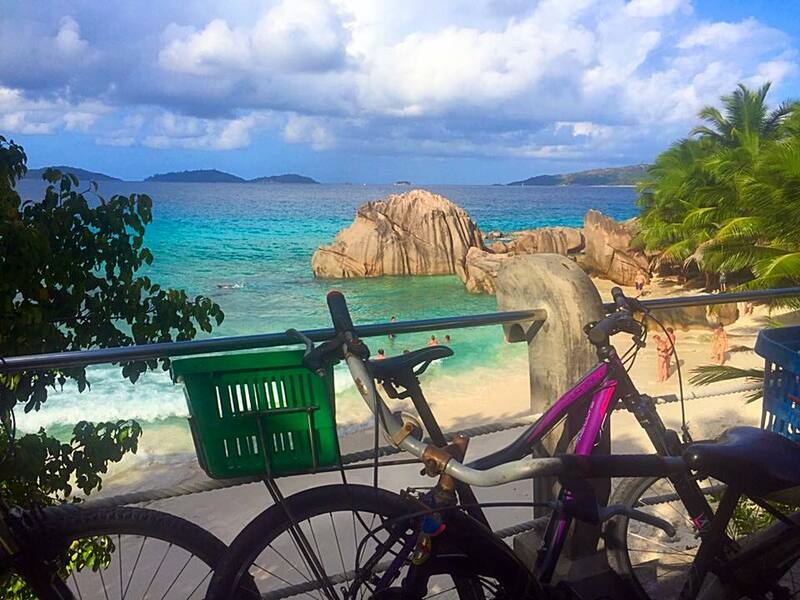 La Digue gives you a more rustic yet unique Island experience where tourists get around by hiring bicycles and are able explore the island at their own pace. A great thrill for me was the excitement of riding along the winding coastal roads, finding a beautiful untouched beach and being able to unwind and just experience and take in all of nature’s beauty. On most of the Islands you have various accommodation options to choose from. Ranging from 3 star hotels to luxury 5 star resorts and even a few self-catering establishments, there is a variety to suit every traveller’s needs. The “All Inclusive” term however is not popular in the Seychelles. Hotels offer either bed & breakfast or a Half Board option which includes breakfast and dinner. Guests are encouraged to leave their resorts and explore the islands. Enjoy a delicious red snapper at a local restaurant or cool down with a cocktail made from local Takamaka Rum – experiencing a true taste of Seychelles! Besides Mahé, Praslin and La Dique, Seychelles offers another unique feature which they call a “one hotel / one island” experience where islands such as Silhouette and Sainte Anne (amongst others) only have one hotel on them. By staying at one of these hotels you have the benefit of having an entire island at your disposal. This gives you a type of Robinson Crusoe feel and you can freely explore the island as you please. All in all, the pure beauty of Seychelles is impossible to describe in words – all I can say is that is a true paradise worth discovering and should be on every person’s bucket list!